It's official, you guys — the end is near. On Wednesday, news broke that the upcoming 12th season of The Big Bang Theory will be its last. That means television’s No. 1 comedy will close the proverbial curtains for good in May 2019. “We are forever grateful to our fans for their support of The Big Bang Theory during the past twelve seasons. We, along with the cast, writers and crew, are extremely appreciative of the show’s success and aim to deliver a final season, and series finale, that will bring The Big Bang Theory to an epic creative close,” said producers Warner Bros. Television, CBS network and showrunner Chuck Lorre in a joint statement. 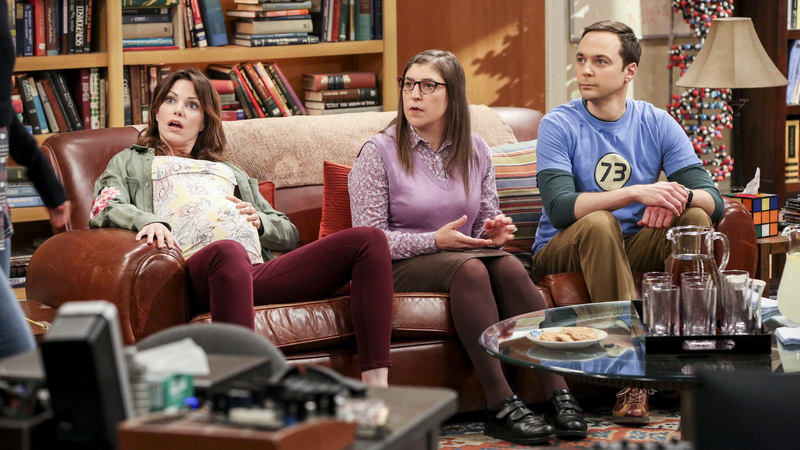 More: Is Big Bang Theory Ready to Give Penny & Leonard a Baby? At the time of its close, the series will go down in history as the longest-running multi-camera series on television to date. Since its debut in 2007, fans have tuned into a record-breaking 279 episodes. In that time, The Big Bang Theory has racked up a staggering 52 Emmy nominations and 10 wins (so far). Perhaps Kahl, like the rest of us, was simply in denial. As cocreator Bill Prady subsequently tweeted (after expressing his surprise at the idea of another season), a renewal depended largely on whether Warner Bros. could get the cast to sign on. Per The Hollywood Reporter, sources said that the decision would likely come down to Emmy-winning lead Jim Parsons, who plays the inimitable Sheldon. If he agreed, the series four other original stars — Johnny Galecki (Leonard), Kaley Cuoco (Penny), Simon Helberg (Howard) and Kunal Nayyar (Raj) — were expected to return. While the details of that decision remain confidential, the cast couldn’t contain their excitement upon returning to set. On Tuesday, Melissa Rauch (Bernadette), Cuoco, Galecki and Mayim Bialik (Amy) all celebrated the start of season 12 filming with behind-the-scenes photos. We baaaack!!! @bigbangtheory_cbs (@themelissarauch and I trying to make a 12! 🤣) #season12 @sanctionedjohnnygalecki @therealjimparsons @missmayim @kunalkarmanayyar & Simon 😀 #lovemyBBTfamily ❤️ thank you for having us! Of course, now that we know season 12 will be the last, the photos have taken on an entirely new context. They have now, funnily enough, become the gang’s last “first day back at work” photos. The beginning of the end is nigh, folks! Soon, we the fans will be tuning into our last Big Bang season premiere. On Monday, Sept. 24 at 8/7c on CBS, the final episodes of everyone’s favorite nerdy show will kick off. The show will then move on Sept. 27 to its regular time slot on Thursdays at 8/7c. And, no, we're not crying; you are.